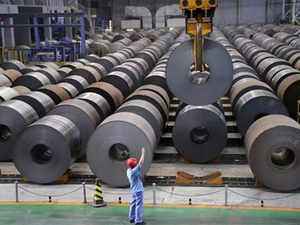 Tata SpongeNSE 2.68 % has said it has completed the acquisition of Usha MartinNSE 2.84 %’s steel business undertaking including captive power plants, on Tuesday, April 09, 2019. The deal was completed “pursuant to a cash consideration of Rs 4094 crore payable to UML after adjustment for negative working capital and debt like items,” Tata Sponge said in an official notification to the exchanges. This is subject to “further hold backs of Rs 640 crore, pending transfer of some of the assets including mines and certain land parcels,” the Tata Sponge statement added. Tata Sponge is Tata Steel’s chosen vehicle for acquistion of UML steel division. Tata SteelNSE 0.29 % had entered into an greement for acquiring UML steel division in September 2018. ET had reported on Monday’s edition that the Tata Sponge is set to take possession of the Jamshedpur unit of UML on Tuesday. Earlier On October 24, 2018 Tata Sponge had informed the exchanges that the company’s board of directors had decided to acquire the steel arm of UML through a slump sale on a going concern basis. The deal amount will be deposited in an escrow account of SBI and will be utilised to repay Usha Martin’s debt. “The money has come in and it will go directly to lnders for repayment of UML debt,” a top Usha Martin official said. The remaining part, amounting to around Rs 640 crore will come in after the transfer of the iron ore and coal mines and a parcel of land measuring about 75 acres. UML has already received the Jharkhand government’s nod for transfer of the assets,” the official added. All employees pertaining to UML’s steel business will be transferred to the Tata group as part of the divestment. The deal will add to Tata Steel’s portfolio of automotive steels, which has been strengthened with acquisition of Bhushan SteelNSE 1.43 % one of India’s largest automotive steel producers. The deal brought the tussle between the Usha Martin promoters to the fore. It was opposed by Prashant Jhawar, co -promoter and cousin of Usha Martin MD, Rajeev Jhawar, who was removed from the post of UML chairman by lenders led by SBI in April 2017. He had raised questions about the expected net proceeds from sale of steel division of UML and funds likely to be used for repayment and whether there was any independent supervision by board on operation of the escrow amount.